10 Reasons to Plant Prairie Sunflowers, Easiest Flowers Ever! Prairie Sunflowers have to be the best deal in plants. Why? You don’t have to have any gardening experience. Really! You don’t have to have good soil. You don’t have to water them. They are extremely cheap to grow. Extreme heat and drought? No problem. They have a secret power to make anything else you grow produce more! You can eat their roots and you get free firewood as a bonus. You’ll get plenty of cut flowers and they might even keep mosquitoes away. 1. They add a lot of cheerful color to your yard. The combination of yellow flowers against a blue sky is enough to break through anyone’s bad mood! They will keep you in cut flowers for weeks. They look great in a pitcher as a casual arrangement for everyday or for entertaining. If you know someone who could use some sunshine, bring them a bouquet! 2. You do not need a green thumb to grow these sunflowers. You almost can’t kill these tough plants. They seem to have few problems with pests or disease. They do well in high heat and drought conditions. They will grow well in poor soil! Actually, if you plant them in moist, rich soil, they may droop a little bit. They like it tough! You can plant them next to a concrete or brick wall that gets very hot in the summer. Not many plants survive well there. 3. A row of sunflowers planted closely together acts as a privacy screen and discourages deer from trying to get through the hairy stems. Planted strategically they could guide them away from certain areas of your yard. 4. Sunflowers attract pollinators that can help pollinate fruit trees and other garden plants. That means more fruit, vegetables, and flowers for you with very little extra effort from you. Once these sunflowers are planted, you get that same benefit year after year for your tress and gardens. 5. The dried sunflower heads make great snacks for the birds in the fall. Goldfinches in particular love these. That’s a pretty sight! 6. You can actually eat the tuberous roots; they taste similar to Jerusalem artichokes or “sunchokes.” Since this kind of sunflower is a perennial, that means free food every year! 7. If you don’t eat all the roots, Maximilian sunflowers will come back every year. So plant once; enjoy forever! 8. If you have an area of your property that tends to wash away or slump, just plant these perennial sunflowers to help hold the soil. 9. Putting them against a wall, fence, or at the edge of a wild, bushy area you are trying to keep contained is a great way to use them. choose your area carefully before you plant. Obviously you wouldn’t want them right next to a vegetable garden. They don’t work well where you want a well-manicured garden area, like perhaps in the front yard. They will eventually spread and give a naturalized look. They tend to get tall and a strong wind can knock them down. There are some good tips linked at the end of this post for keeping them shorter and more controlled if you don’t like the wild look. By the way, they are rumored to repel mosquitoes, so you might be able to enjoy your yard even more this summer. 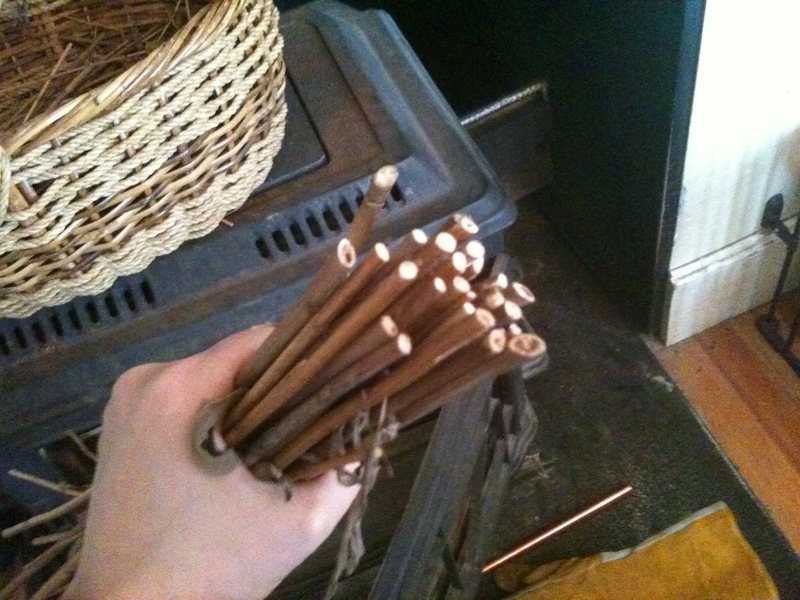 Click here to link to article at ResilientHomes to see how easy it is to turn the stems into convenient kindling. You might never have to buy “fatwood” again! Here are excellent tips from dontveter for keeping these sunflowers from getting too wild and lanky. He also gives tips for starting these from inexpensive seeds. An even better bargain! Have you ever grown sunflowers? How did they do? How do you get starts. I have 2 of these and would like to take some starts to my farm. Money Cone, I hope you enjoy them! Just seeing all that yellow against a blue sky is reason enough! Instant mood lifter! Great tip Maggie! I’m a total newbie when it comes to gardening and any tip is an eye-opener! Something to try out this summer!